Dragon*Con is mere days away, so it’s about time for some info on Luciana’s appearance at the giant annual pop culture expo in Atlanta. And a dozen other Battlestar veterans will be there as well. Fortunately, meshel73 posted a comprehensive list of all the Battlestar themed autograph sessions, panels and photo-ops at the Battlestar Blog. 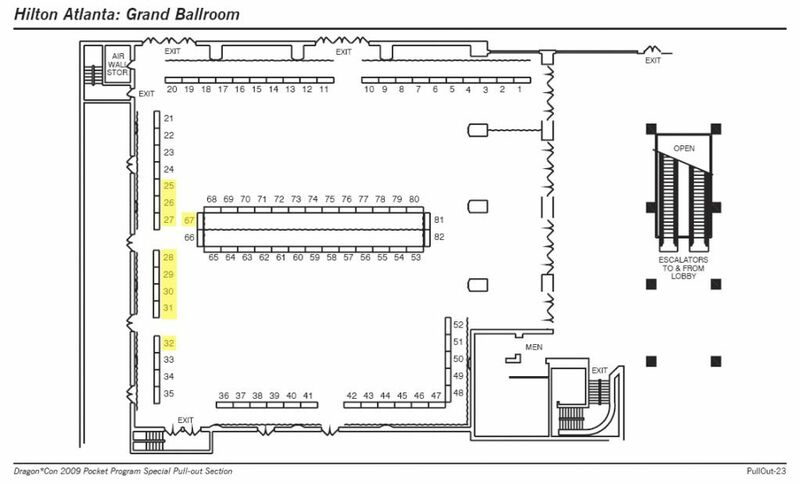 Luciana (guest 67) will sit next to Richard Kiel, and opposite Mary McDonnell and all the other BSG guests (floor plan). Her autographs will probably sell for $25. Friday 05:30pm BSG – Launch Tubes Active! [DCTV DELAY] Welcome BSG cast members forstories of the tribulations of the human and cylon races, and just what are they going to do now? [DCTV DELAY] Old friends and new join us for a discussion on where season 4. Cylons and humans face a world together. Pre-sales will end August 30th at midnight. Tickets will be sold at Dragon*Con. All photos will be available the same day of the shoot! Now all you have to do is show up, say hello, ask some neat questions, and take a couple pretty pictures!